Dan Morris LOVE Key Ring | Keychains! 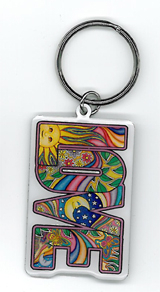 All you need is Dan Morris's LOVE....here, in a great metal keychain! With you all the time.